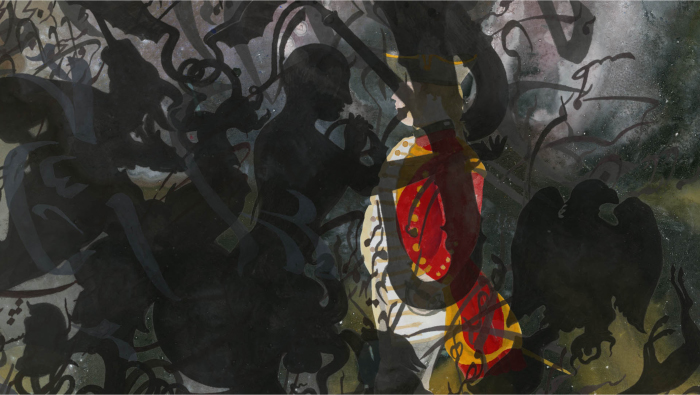 Across two decades Shahzia Sikander has revised the laborious art practice of miniature painting in order to investigate the relationship between collective and individual histories. Sikander was born in Pakistan in 1969 and graduated from Lahore’s National Academy of Arts in 1992. She later moved to New York and completed a Master of Fine Arts at the Rhode Island School of Design. As a Pakistani-American woman, Sikander’s infusion of traditional iconography with contemporary motifs encourages multiple ways of looking and creates space for exploring identity. Bound to her Pakistani past by the style and iconography of her miniatures, Sikander infuses highly personal narratives into the traditional painting genre in order to subvert cultural expectations and reclaim identities. This process is evident in early works such as The Scroll (1991-1992) which is an intimate portrayal of her youth and the roles she adopted as artist, family member and Pakistani citizen. 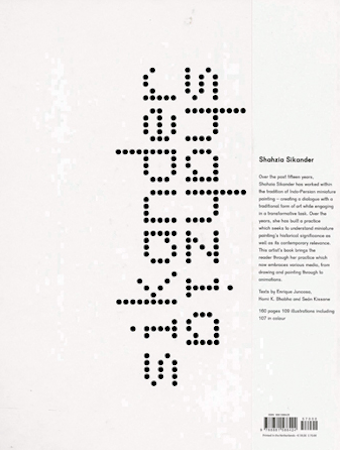 Sikander uses reinvention as a means of engaging with monolithic identities brought about by collective history. Her paintings differ from traditional miniatures in their temporal ambiguity and break down of formal structure. Subjects cannot be bound to time or place as contours melt into a whirl of colour and pattern. Simultaneously cultural icons standout and then recede into a background that struggles to distinguish form from pattern. During the 90s, Sikander battled with the cultural expectations placed on her as a Pakistani citizen and subsequently adorned the veil for some time as part of an artistic and social experiment. This period saw her produce highly politicised works such as Who’s Veiled Anyway (1994-97) and Venus’ Wonderland (1995-97). Sikander works within mediums rather than series and since 2001 she has established herself as a confident video artist. Her miniaturist style is consistent throughout her oeuvre and can be identified in the intricately detailed stills taken from videos such as The Barrels (2008). 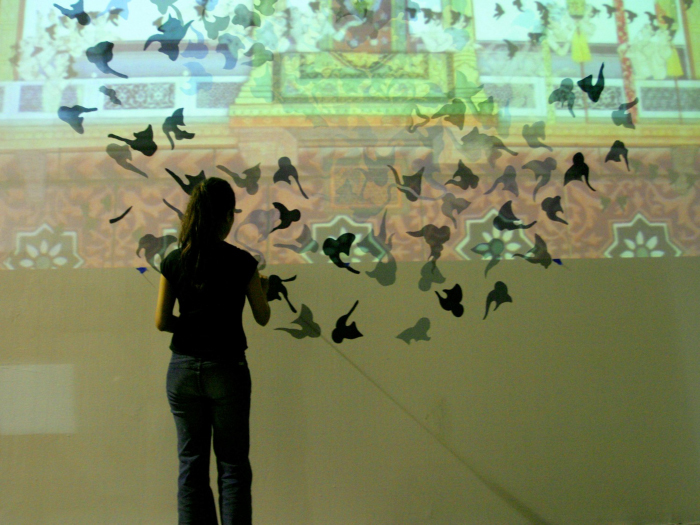 Her digital animations such as Pursuit Curve (2005) explore manifestations of tradition in new media. Through a series of sequences, stylised shapes evolve to form circulating turbans challenging the viewer to determine at what point the object becomes recognisable. Occasionally titling her work after mathematical processes, Sikander applies universal meaning to art embezzled in cultural tradition. With each new project Sikander stresses the power of reinvention as she continually layers universal, cultural and personal language. She has exhibited in the UK, Australia, Turkey and China and was named a MacArthur fellow in 2006. Most recently Sikander has curated exhibitions for the Cooper-Hewitt National Design Museum and the International Print Centre in New York. 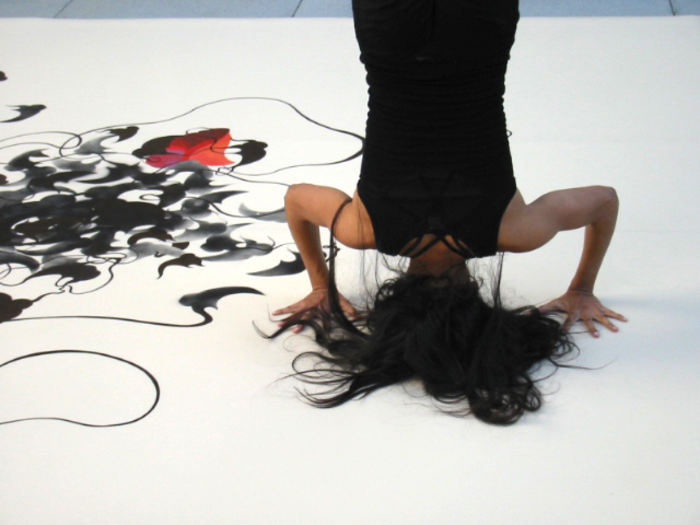 Header Image: Shahzia Sikander, Sharmila Desai, performance at the Aldrich Museum (2003). ’Shahzia Sikander specializes in Indian and Persian miniature painting, a traditional style that is both highly stylized and disciplined. Her work blends the Eastern focus on precision and methodology with a Western emphasis on creative, subjective expression. Sikander juxtaposes Hindu, Muslim, and Western iconography, entangling histories, meanings, and beliefs.’ Art 21, Published 25 January, 2013. 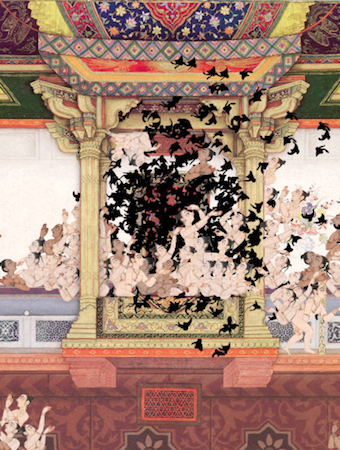 Shahzia Sikander: Disruption as Rapture, Philadelphia Museum of Art. Hashmi, Salima 2004, Tracing the Image: Contemporary Art in Pakistan, in C Turner (ed. ), Art and Social Change: Contemporary Art in Asia and the Pacific, Pandanus Books, Canberra. 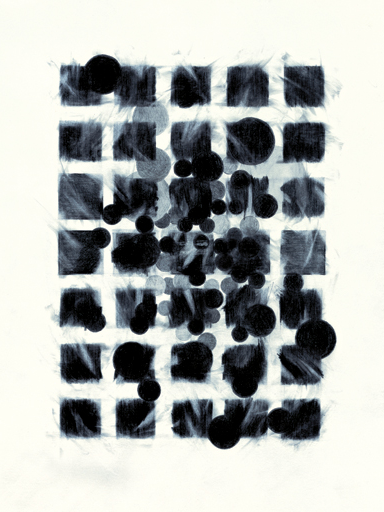 Hunt, David 2001, Shahzia Sikander, Bomb Magazine, no 7, pp. 46-9. Kapur, Geeta 2004, Dismantled Norms: Apropos other avantgardes, in C Turner (ed. ), Art and Social Change: Contemporary Art in Asia and the Pacific, Pandanus Books, Canberra. McCarthy, Robert (ed.) 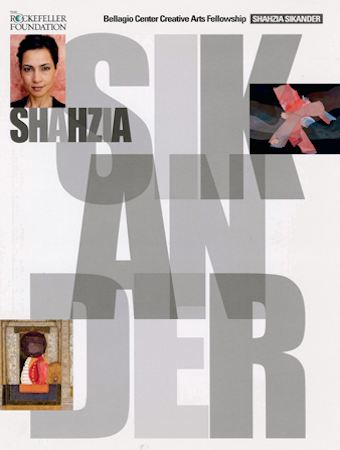 1999, Miniaturizing Modernity: Shahzia Sikander in Conversation with Homi K. Bhabha, Public Culture, vol. 11, pp. 146-151. Music Collaboration: Persian Tar, Kamil Alipour, Tombak, Siamak, Guitars, Strunz and Farah.